A recent study was conducted by the Kansas Highway Patrol and found that a school bus with its stop sign displayed was passed nearly 10,000 times in a 30 day period in Kansas. One time is too many if a child is injured getting on or off a school bus. 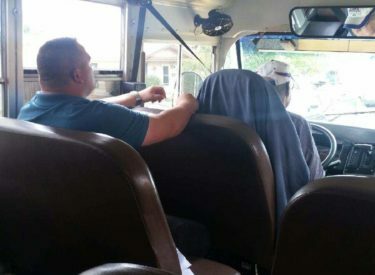 The Liberal Police Department has partnered with USD 480 to combat the problem of people driving around a school bus while the stop sign is displayed. Starting immediately, the Liberal Police Department will be placing an officer on school buses to look for people passing the school bus while the stop sign is displayed. If a driver is found improperly passing a school bus, passing from either direction while the stop sign is displayed, they will be fined $100 plus court cost. Be mindful when following or approaching a school bus. Please help keep our children safe.